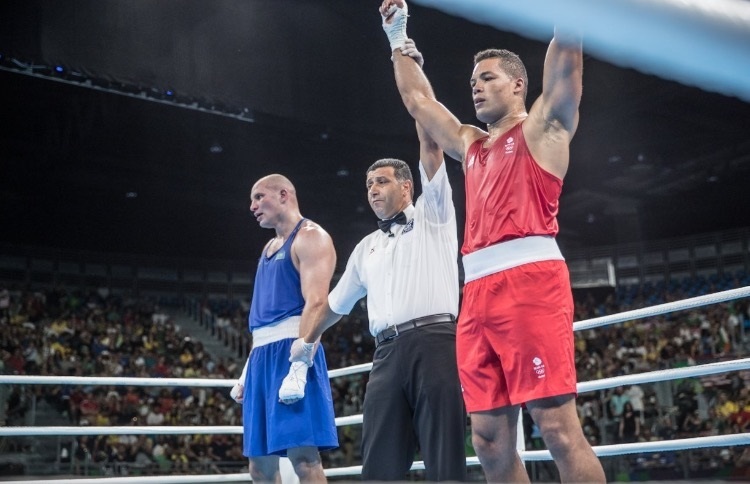 Joe Joyce has secured his place in the gold medal bout at the 2016 Olympic Games as he beat Ivan Dychko of Kazakhstan by unanimous decision. Following in the footsteps of former Great Britain boxers, Audley Harrison and Anthony Joshua, Joyce will now look to take home gold. He faces Tony Yoka of France in Sunday’s final. Opening the contest Joyce knew that he had to apply sensible pressure to the reigning Olympic bronze medallist. The Kazakh is a fast mover and Joyce needed to cut the ring off in order to slow him down. Into the second round and Joyce came out strong on the front foot. Great body shots from Joyce saw his opponent start to slow down. Joyce dominated this round, showing more success with strong shots. The Kazakh took the opening round on the judge’s score cards, Joyce responded to this brilliantly taking the second round unanimously. Into the final round and both boxers were equal on the score cards. Joyce was in pursuit of his opponent and his place in the gold medal bout. There was more terrific work from Joyce in this round as he threw combinations of shots, clearly hurting his opponent. Joyce’s performance in the second and third round won him the contest by unanimous decision, and he has now secured his place in the Final. Joyce will compete for gold in the Sunday evening session at 19.15 GMT. Nicola Adams has also secured her place in the gold medal bout as she looks to defend her London 2012 Olympic title.